A washer that does just what you need. 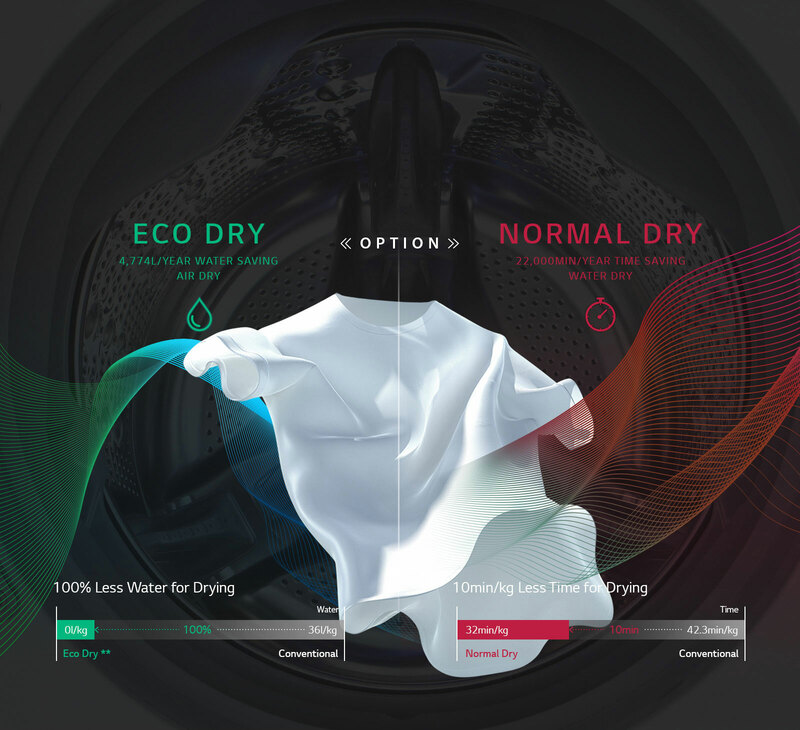 Wash regular large loads in the front-loading top washer, or use the separate top-loading on the bottom deck for delicates or small loads that cannot wait. 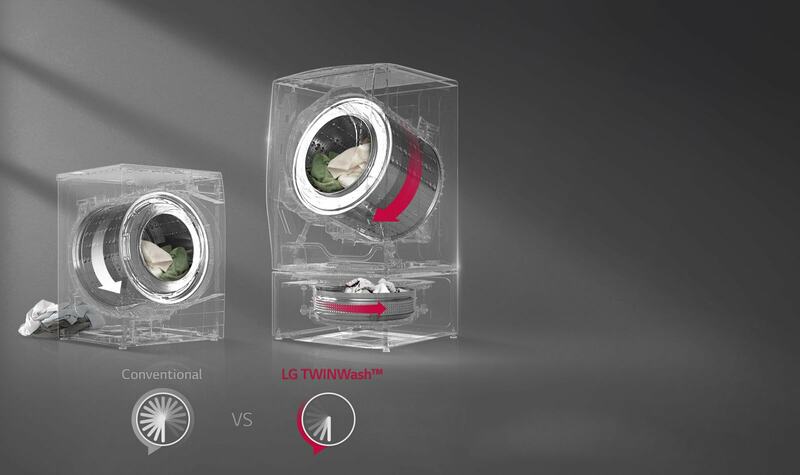 The TWINWash™ makes its easier to do your laundry in many ways, starting with less bending for your back and knees. The higher top washer is more ergonomic to load. TrueSteam™ technology activates Allergy Care, Steam Refresh and Steam Softener™. Improve your quality of life by maintaining a healthy, allergen-free environment. Not just one but two high-efficiency Inverter Direct Drive motors enhance washing performance but without the noise. Inverter DD technology uses fewer moving parts, which reduces vibrations and enhances durability. Plus, the motors dissipate less energy, reducing electricity consumption. 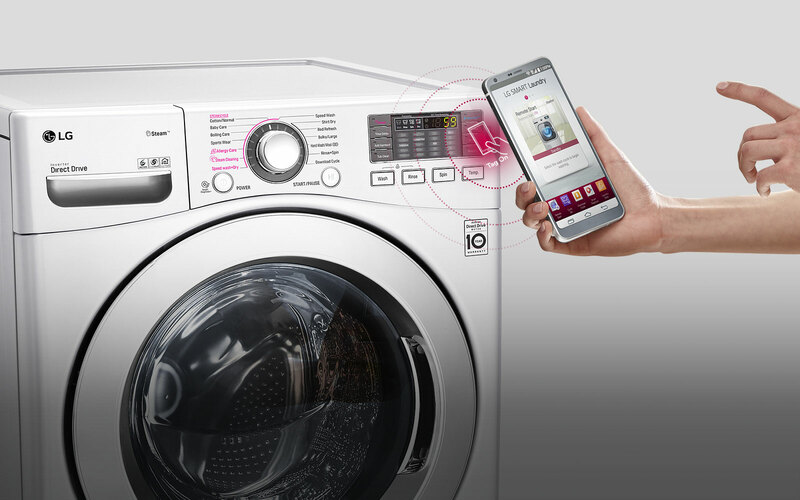 Tag On lets users download new wash programs to a smartphone, such as Wool, Baby Care or Cold Wash. Tap the NFC Tag On symbol to install the program on the machine.